I'm lazy, super lazy type. My parents, my friends, and people around me knows it. A lot of times I skipped not doing something or ignore something that happens just like that. That's what I did to my skincare regime too, I skipped one of the vital part for good looking skin - putting on mask regularly. Putting on mask regularly was never my thing. I dislike something that covers my face, sometimes my eyes and nose for a period of time I felt suffocated and can't breathe properly. I know it was all in my head but I don't really like to put it on, maybe because I feel that it is not necessary, but time proved me wrong. After witness my friends who putting on mask regularly, her skin is so good and radiant I started to believe that this is one of the vital step for good skin. 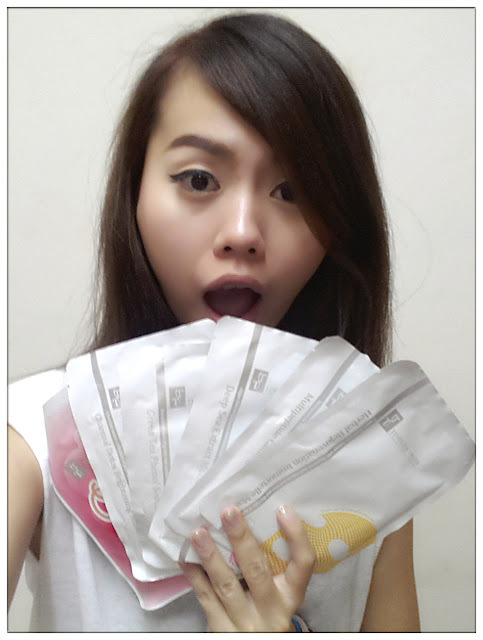 So, I began to buy mask, lotsa them. 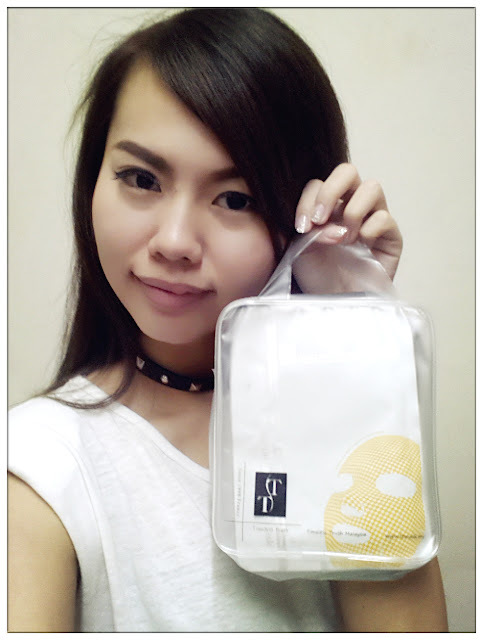 Thanks to Only Beauty and Timeless Truth, they sponsored me a whole bag of masks with different function and effect to my skin! Comes in different functions and targets for every skin concern you may face. TT Mask have one of the funky mask design which I love, and also not mention all different types of mask range they have. There are 6 ranges and over 25 types of masks they have under Timeless Truth, target each and every person's skin condition. 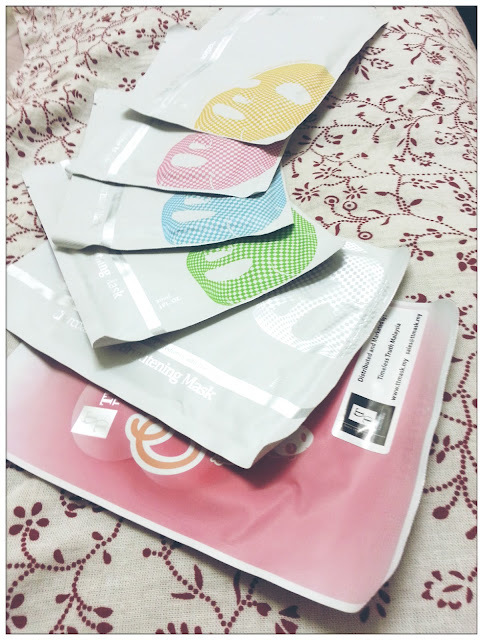 The 6 ranges of TT Masks are anti-aging, anti wrinkle, deep whitening, biocellulose, moisturizing and partial application masks. For Anti-Aging range, it contains concentrated active ingredients of Argireline, Hyaluronice Acid, Vitamin A and Vitamin E to help fight the signs of aging such as dull skin, loss of elasticity and also decelerate the progress of lines and wrinkles. Anti-Wrinkle range masks are empowered by potent ingredients of EGF, Palmitoyl, Pentapeptide-3 and Acetyl Hexapeptide-3 that works like anti-wrinkle antidote. These ingredients will help prevent and reverse the appearance of lines and wrinkles. The combination of Tranexamic Acid and a-Arbutin which helps bring out the brilliance of whitening elements that offer whitened, brightened, radiant and translucent look for skin are from the Deep Whitening range. 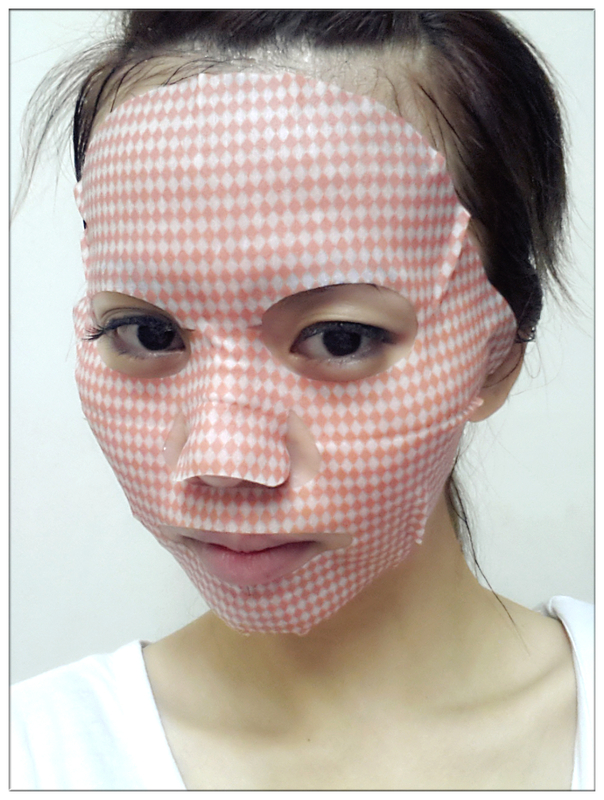 Biocellulose has 3 type of masks which is the Snow Lotus, Collagen and EGF mask. I've tried the Collagen Biocellulose mask which has a layer of gel like ingredients on the mask, and feels like a second layer of skin that gives fast absorption of the nutrients given by the mask. Moisturizing range masks are incorporated with certified active ingredients of Hyaluronic Acid and Vitamin E which results in instant hydrating, revitalizing and nourishing sensation that gives your skin's complexion more radiant looking. Last but not least, the Partial Application masks contains the same ingredients as the Deep Whitening range masks but more focus on certain concerned areas of the skin that you target to improve more. Since I've tried the Collagen Biocellulose mask yesterday, I'm gonna try the Multipeptide Calming Revitalizing Mask from the Anti-Wrinkle range. Fight wrinkles and lines before they appear is the best solution! Hahaha somehow I find myself look like I'm wearing a mexican wrestling mask in Lucha Libre or something. Noticed something different about TT Mask than other masks that I've used before. Remember that I mentioned how I dislike about feeling greasy as if something covers my face during mask time or some time even after putting on a mask? Totally not a problem when I put on TT Mask because my skin are able to absorb the ingredients of the mask so fast that it is not greasy at all after few minutes I took off the mask. Feeling fresh, moisturized and radiant! One of the best feeling after putting TT mask. Looking fair too! Love it!!! Even my friend ask me if I still had the mask on even though I peel it off already because I look so fair through the webcam! Hahaha! 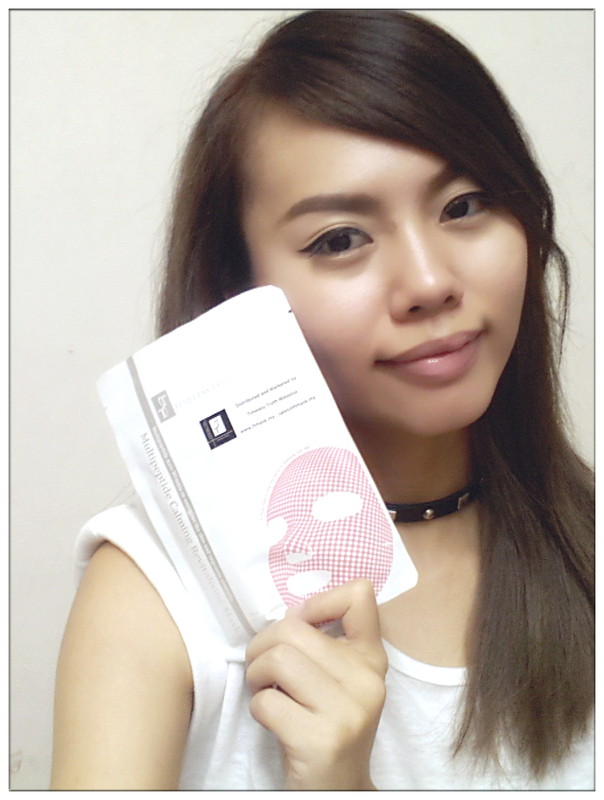 Thank you Only Beauty and Timeless Truth who gave me the set of TT Masks for my skincare regime. Did I forget to tell that TT Mask is an International Award Winning and Halal-Certified Facial Masks? Get one today and witness the difference told to you by your skin, you'll love it!